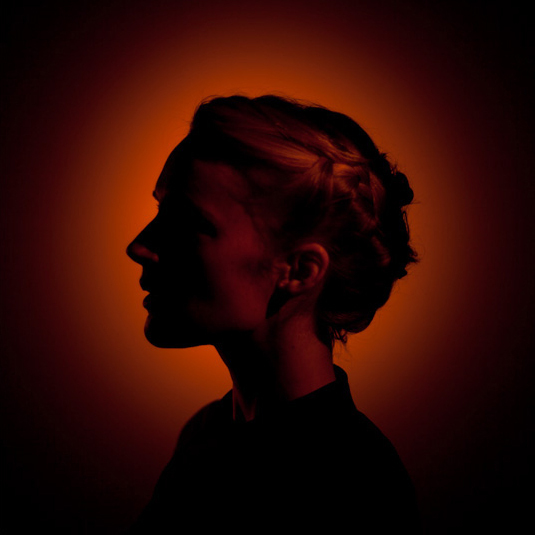 There is something from another place and a different time in everything that Agnes Obel does. Maybe it’s because she grew up playing the piano as opposed to listening to the radio, or maybe because her inspirations are to be found in the visual realms of Hitchcock, Tina Modotti, and Robert Mapplethorpe. Playing Chopin for her was as inspiring as the release of “Dummy” by Portishead, and this might be the reason why her music is an ever elegant fusion between a classical sensibility and a modern curiosity. The Berlin-based Danish musician has recently released a deluxe version of her second album ‘Aventine’, featuring 3 new tracks, live recordings and a remix of ‘Fuel To Fire’ by none other than David Lynch. Agnes’s ability to create intimate and effortless soundscapes comes from the total control she has over compositions, production and the usage of her pure vocals. Ahead of her UK live dates, Hunger TV meets with the polyhedric and fascinating artist to talk about her impressionistic world, intimate creative process and how being receptive to your own self may be the secret to touch people’s heart through your work. YOUR PIANO TEACHER USED TO MAKE YOU PLAY ONLY WHAT YOU LIKED. IS THIS STILL SOMETHING YOU KEEP IN MIND WHEN MAKING MUSIC? YOU PLAY, SING AND PRODUCE ALL BY YOURSELF. HOW DOES IT FEEL WHEN SOMETHING SO INTIMATE IS RELEASED? I like at certain times, mainly before a release, to suspend my knowledge of the outside world for a while. You cannot know how the music will feel to anyone other than yourself so overthinking that would be a waste of time. On the other side, it is interesting to pursue a certain state of mind and find out if you can capture it within a certain song or a piece of music. This experience is always your own of course, and in a way very introspective, but you still always hope that this will resonate with something outside of yourself and that the songs can be something on their own. MUSIC ALWAYS COMES FIRST FOR YOU, LONG BEFORE LYRICS DO. HOW DO YOU DEAL WITH THIS CREATIVE PROCESS? To me, words and their meaning change significantly when you put them into a piece of music. I can have something written down before hand, but as soon as I play and sing them it is like they become physical to me. They are suddenly part of the room, the music, the body and my voice. I find this connection and transformation super interesting so I try to be open to this form of imagination and lyric writing that takes place when the words are actually sung and played. Sometimes words are linked to something very personal, a specific experience for example, and sometimes they become very abstract and it takes years before I understand what that song is about. YOU ONCE SAID THAT THE PIANO AND SINGING ARE TWO EQUAL THINGS TO YOU. SINCE YOU ARE WORKING WITH NEW INSTRUMENTS ON THE NEXT ALBUM, DO YOU FEEL LIKE YOUR VOICE NEEDS TO ADAPT DIFFERENTLY TO THIS? I guess so. The music I have been working on lately has been with more mid-frequencies and less bright instruments, so this changes a lot of things, mainly the way I sing and use my voice in the music. I have always used recordings to develop sounds and instrumentation in order to understand how to use my voice and the words within the music. It always worked and in many ways I feel like the recordings and the instruments become decisive on how I end up using voice and words. CAN YOU TELL US ANYTHING ABOUT YOUR NEXT PROJECT? I have some clear ideas but I’m not sure it is a good idea to go into specifics on such an early stage. I mainly plan to work with old keyboards like spinet and harpsichord and then see where they take me. THE ARTWORK FOR YOUR MUSIC IS ALWAYS VERY DISTINCTIVE AND AS ELEGANT AS YOUR MUSIC. DOES HAVING A PHOTOGRAPHER AND ANIMATOR AS A PARTNER HELP YOU TO FEEL INSPIRED? I am lucky to have someone close to me that has such a different perspective but who’s still deeply involved with what I do. He is a powerful influence, no doubt, and he’s very good at making things happen and seeing things from an absolute unexpected point of view. YOUR MUSIC ALWAYS CREATES DIFFERENT SOUNDSCAPES. HAVE YOU EVER CONSIDERED CREATING A SCORE TO A FILM? I think the conversation between film and music is very interesting. I guess I am from a generation where film and music are perceived as intrinsically linked. I especially like the point when a film, or a scene, changes unexpectedly because of the music that is being used. Music becomes a part of the story and changes your perception of it. I would definitely love to be part of that in some way of another so yes, if the right project comes along, I would be up for it. CONSIDERING TODAY’S MUSIC INDUSTRY, YOU ARE AN EXCEPTION; A SELF MADE ARTIST WHO IS NOT PRESSURED BY ANYONE AND TRULY DOES WHAT SHE WANTS. WHAT WOULD YOU TELL TO MUSICIANS WHO HOPE TO FOLLOW YOUR PATH? I’m not sure. What I often find interesting in music is the window into something singular and otherwise unreachable. I guess that being open to your own self, and all the idiosyncrasies in your work, is the best advice I could give. If you look at it in this way, you are opening yourself to others as well. WHAT WOULD YOU PLAY DURING A DINNER WITH ALFRED HITCHCOCK, INGMAR BERGMAN, ROBERT MAPPLETHORPE AND NINA SIMONE? I think they would all appreciate “Der Leiermann” by Schubert. It is the last song in the Winterreise song cycle and to me the bleakest and the most beautiful of the whole song cycle. To many Der Leiermann, the hurdy-gurdy-man who the song is about, is the ultimate picture for loss and abandonment. It is fatalistic; the endless grind of life only ended by death. I think they all would be intrigued.